When you buy a new pool table from us, you also get the added bonus of choosing the exact color of felt you’d like to have installed onto it. Contrary to what you may have seen in movies, there’s more than just blue and green when it comes to pool table felt. 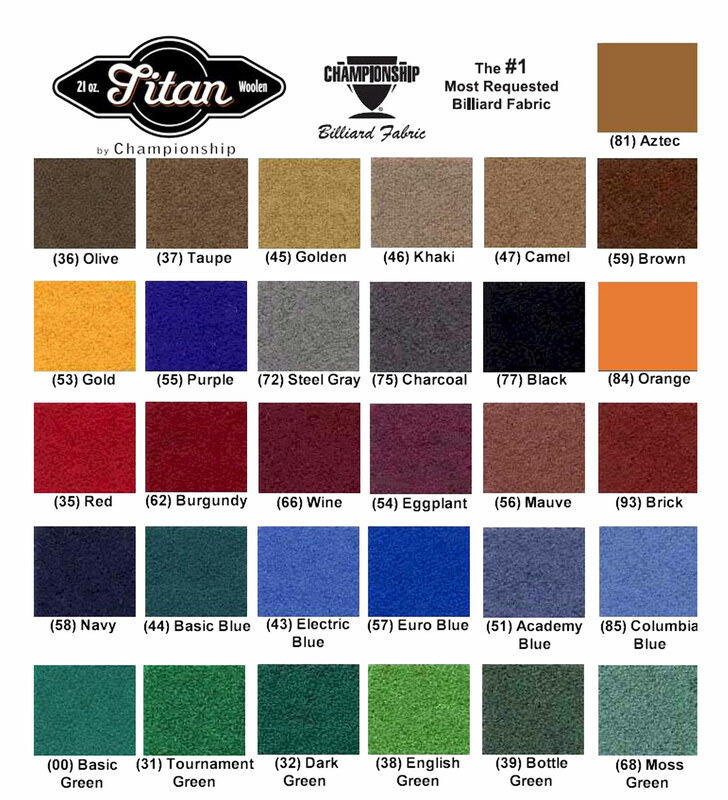 Take a look at our extensive selection of pool table felt colors and find the one that best suits you and your room. Scroll all the way to the bottom for the VERY best felt. Please note that these swatches are shown as color-guides only; every computer screen displays colors slightly differently so please come into our La Mesa show room to look at our real felt swatch book before making a firm decision about a particular color.